Family owned since 1919. We are aware of, and respond to, the individual needs of every family. A homelike facility that serves all families with understanding and compassion. No detail has been spared, no item overlooked! Providing families with all the conveniences and comforts they require during the loss of a loved one. ...has been proudly serving area families since 1956. Our funeral home has been family owned since its inception in 1919. All of our staff are trained to be aware of, and respond to, the individual needs of every family we serve. Please click here for staff information. 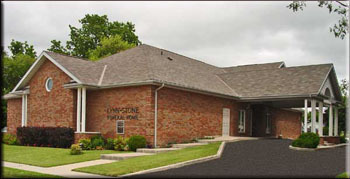 Lynn-Stone Funeral Home serves all families with understanding and compassion. No detail has been spared, no item overlooked to provide families with all the conveniences and comforts they require during the loss of a loved one.